You’ve been running for awhile and have decided to set a new goal for yourself. 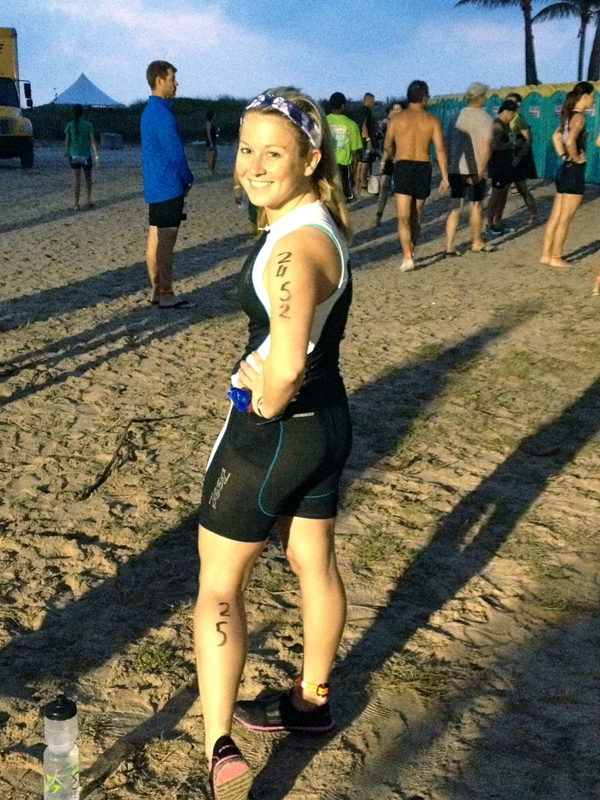 Race a triathlon! 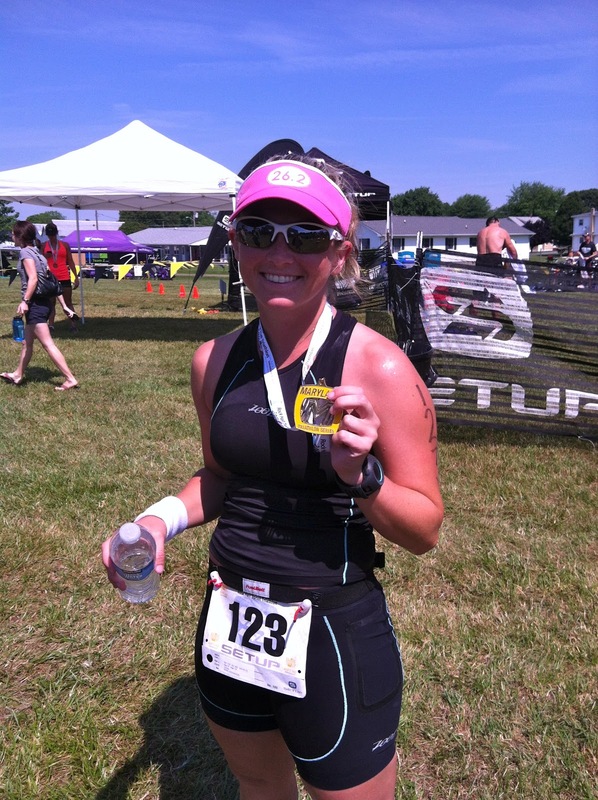 (Triathlons are usually the next step in the flow of goal charts for runners.) But you have no idea where to start. You don’t know if you want to invest in everything because what if you don’t like it, right? Well, I am going to help you out in the preparation process and what you can do if you want to avoid those extra costs. Sorry guys but you will need something to ride on outside. Spin classes will not count as part of your training because riding outside is completely different. It requires a lot of balance and core work. Yes, you may have had a bike growing up so of course you can ride a bike, however if you want to ride a road bike, you need to train. In the beginning, start by riding in your neighborhood and then work your way out onto the roads for longer periods of time. em a try first and I suggest taking a look to see what your preference will be, new or used, but yes you will need a bike. You will need to start swimming some laps to get used to swimming long lengths and for long periods of time. In the beginning, I set goals every time I went to the pool to swim for 10 minutes, 20 minutes, 1 mile, 2 miles etc. I knew that if I could swim for that long period of time then I would be prepared for the swim portion of the race. Bike shorts are crucial for training on the bike because it will prevent you from being very sore the day after you ride. The tri suit is important for race day because it will prevent chafing, will be more comfortable and won’t weigh you down. I bought my first tri suit and bike shorts on sale at a half marathon expo. Some websites have sales and they can be great discounts to help save you some dough. Racing in regular clothes will be the most uncomfortable situation so I highly recommend getting a tri suit. Find a local race instead of being me and choosing south beach Miami which meant I had to fly the bike down there. That way you have the option of training in that area prior to the race, they are usually less expensive and fewer amounts of people. The one thing that scares people the most about triathlons are the swim starts. If you choose a local race of 250 people, your swim wave will have fewer people and not be as scary. Once you sign up for a race, you have your deadline set for training. Do not do a summer race, it will be too hot. Set your goal for spring or fall. My first race was in April in Miami. It was a little hot but not terrible. I wish I had chosen a local race as my first one but South Beach was great and one of the best moments of my life. So the nice thing about doing a race in the summer is that it is usually hot enough where they aren’t allowed. But if you are doing a race Xterra wetsuits provides a rental option and you can have it for 30 days so you can practice with it on. If you are racing in the spring or fall, chances are the waters will be colder, and if you are not used to swimming in cold water, I recommend getting a wetsuit. There are many wetsuit companies and triathlon shops that allow for wetsuit rentals. That way you do not need to buy one, even though there are less expensive, entry-level options available. 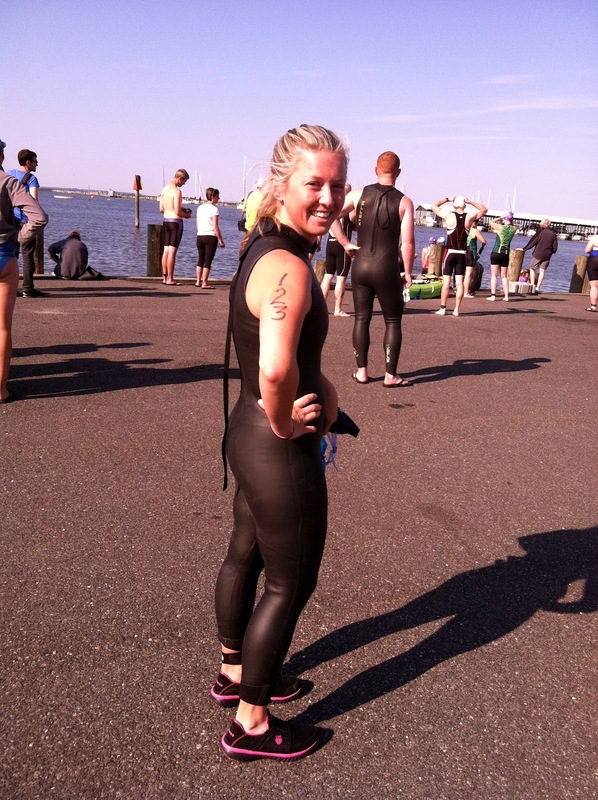 For my first race, I raced without a wetsuit and the second I purchased one on sale and was $99 and I was able to train in it before the actual race to get used to the process of taking if off and putting it on. (If you do use Xterra Wetsuits, use my code SA-ELOCK for 60% off). There are so many meetups and triathlon clubs you can work out with to get used to swimming, biking and running. The best part is that there is always someone new so you never feel out of place. Practice bricks. Bricks are bike-run workouts where you immediately run right off the bike. This will help your legs get used to the feeling of going from biking to running and not feel like jello and fall over (which is what happened to me at my first race).